I live in a cold climate and previously struggled to keep my heated home comfortable yet affordable. With friends’ suggestions and a little bit of guess and check, I have found that with these five simple adjustments, that have little to no long-term effect on the homestead itself (another element I have to think of as a renter), has made my hibernating doldrums much less prevalent. 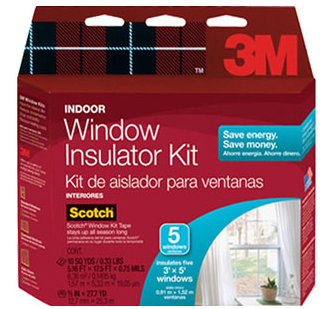 I have used a few different brands in the past but would recommend 3M window kit because the tape has better adhesive and I find their website more compelling. Their energy savings estimator provides a rough idea of how much money you could save during your winter season just installing the film. When I was in college I worked at a Jo-Ann Fabric store and discovered the sublime heat conservation Warm Window Fabric provides. I could sit next to a drafty window that was covered with this fabric and not freeze. I purchased enough yards to cover my windows and have since traveled with them and used them on my most offending windows. The upfront cost can be steep, depending on your window needs and how you make them or buy them, but the long-term benefits are astounding. Most apartments I have ever rented already had ceiling fans. 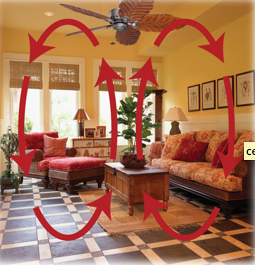 My mother installed ceiling fans in her home once fairly easily; I myself have not. But the point I share here is that ceiling fans are not only intended for warm weather use, but can circulate air and thereby cut down heating needs/costs by simply reversing their direction. I have found the redistribution of warm air is obvious and welcomed. During the “shut in” winter months, sometimes the house can feel stale and claustrophobic but with the fan running it does make my happier. If for nothing else your skin with thank you! 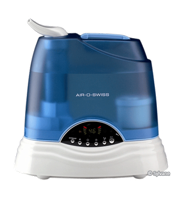 But the perception of warmth is heighten ed with a humidifier so you can happily turn your thermostat down when you have appealing humidity. The Mayo Clinic advises 30%- 50% humidity is ideal; anything above 50% can foster the growth of bacteria. After incorporating the previous four elements into your homestead you will see that by lowering your settings you will save energy and money. 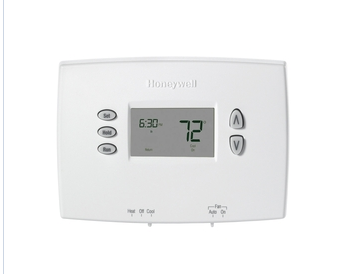 For as little as $24.99 at Lowes you can buy a programmable thermostat that can regulate the temperature of your home. When you are not there, why pay to keep it heated? When you are asleep why heat the whole house the same way your would when you are active? Just by incorporating these five additions to your home during the winter season you can not only save money, but your sanity as well. As a lover of all four seasons, but being adverse to extremely cold weather, it matters a lot to my overall sense of well-being to keep my home cost effectively cozy. This entry was posted in Uncategorized and tagged cold climate, heat conservation, warm weather, window film. Bookmark the permalink.